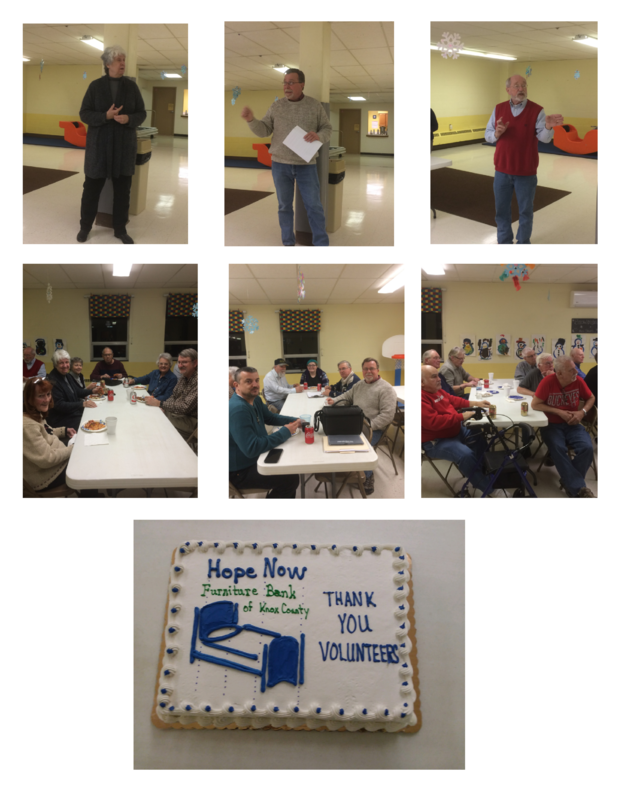 HopeNow Furniture Bank volunteers met the recently-appointed director, Art Schad, Wednesday evening in the fellowship hall of Faith Lutheran Church. 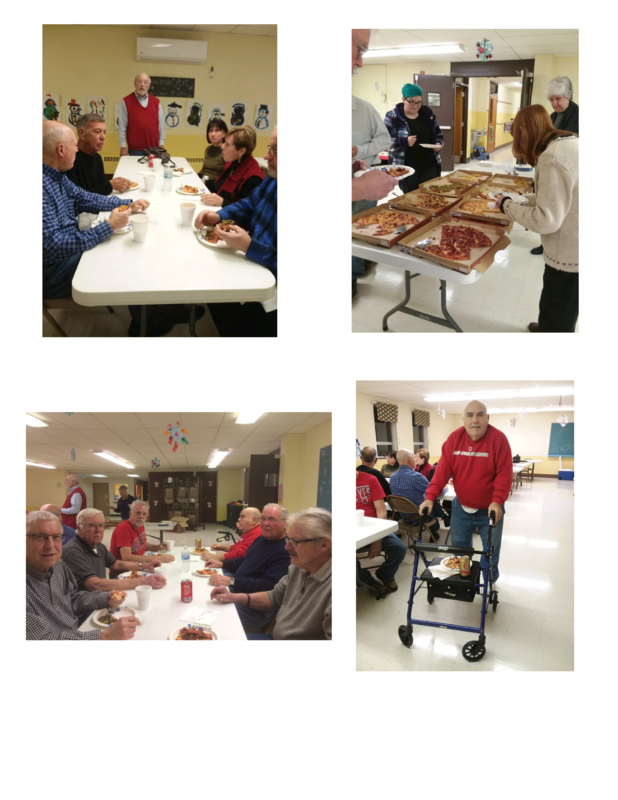 A fantastic array of pizzas from Donatos provided something for every taste. The informal program began with a “field trip” down to the end of the hall to the boiler room that served as the very first warehouse for what would become HNFB. Linda Aikman shared a few words about being a member at Faith Lutheran when it became apparent to her that there was a need for durable furnishings for survivors leaving New Directions. She approached the church for space and the journey began. From a group that served 5 or 6 families that first year, HNFB has grown into an agency that served over 800 people in 2016 and continues to grow. Steve Organ reviewed the processes that allow donors and clients to engage the agency, tracing the steps both goods and people take from initial phone call to pulling away from the loading area of our current 9000 square foot warehouse. Volunteers had opportunities to stand up and be recognized for the hard work and dedication to serve more than 3,000 families during the last 12 years. New Director Art Schad thanked everyone, discussed potential upgrades in our warehouse facilities as well as the need for increasing volunteer and client safety in the coming year. Coffee and cake capped off the meeting.